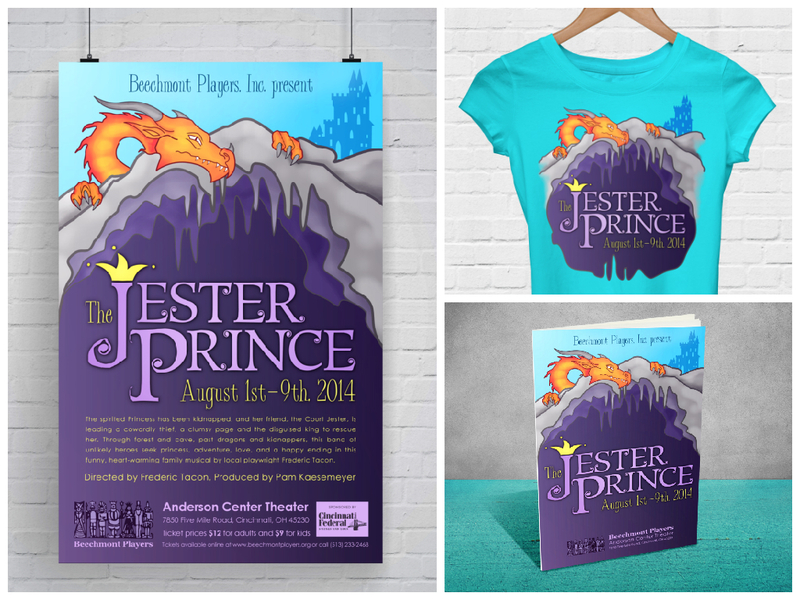 This is branding I designed for Beechmont Players, a local community theater, for their production of The Jester Prince, a family musical by a local playwright. 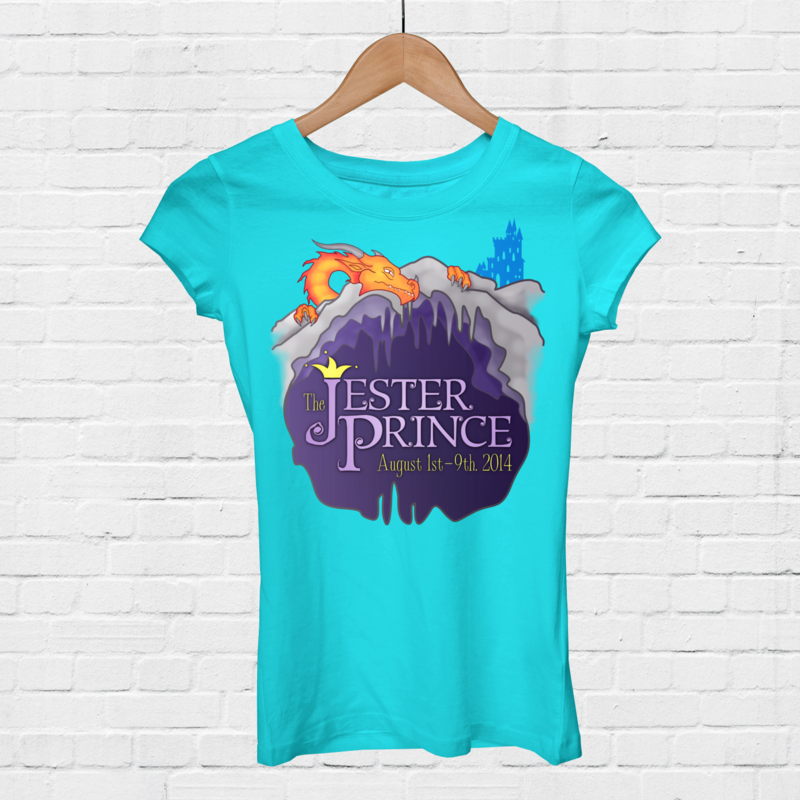 The design also features my own original illustration. 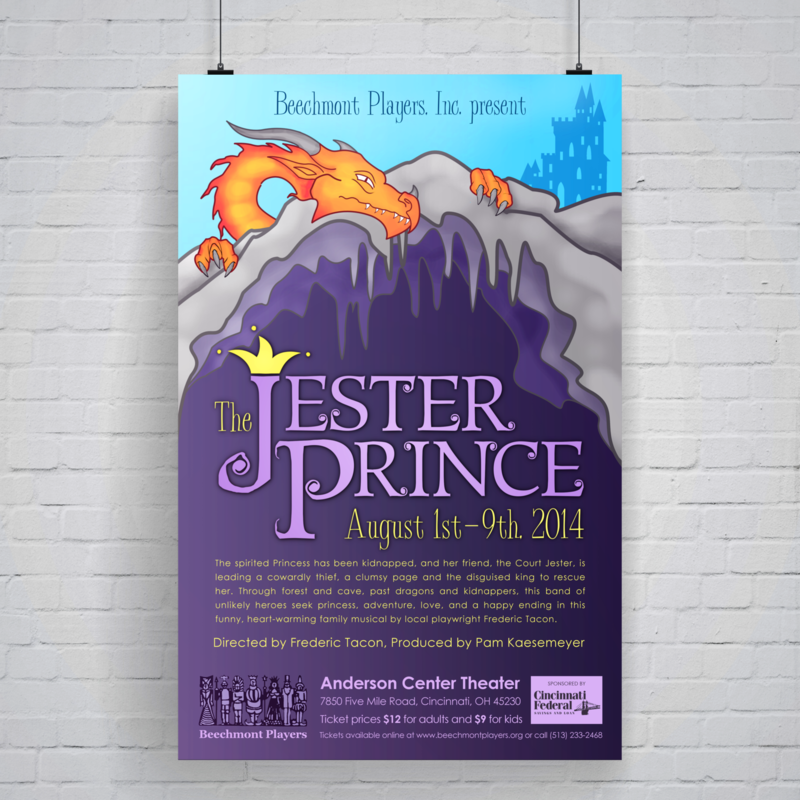 The Jester Prince is an original musical by local playwright Fred Tacon about a young jester who has fallen for a princess and his quest to rescue her when she is kidnapped. 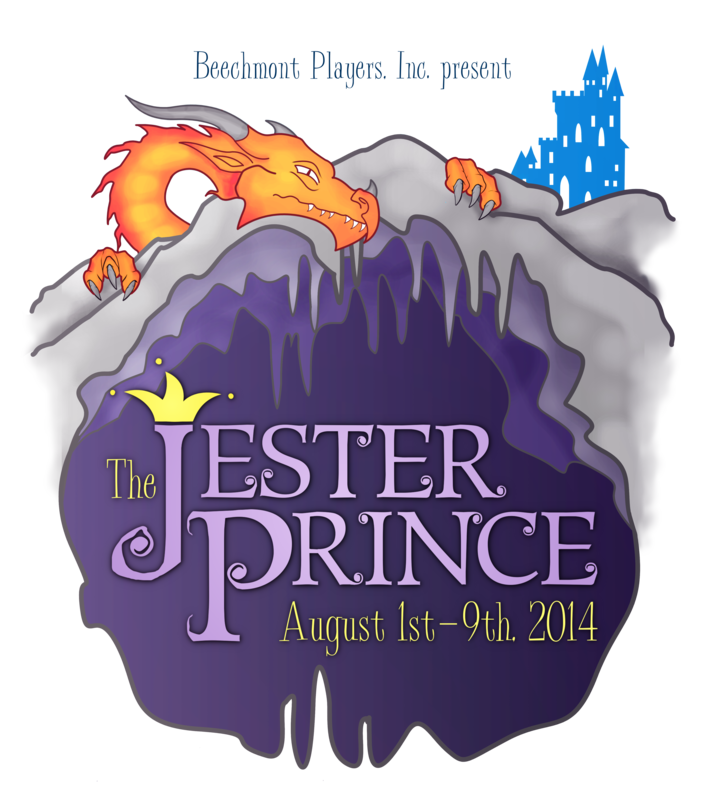 The jester faces a dark forest, a maze that seems to have a mind of it’s own, and as the artwork depicts, a frightening dragon. The artwork is my original digital illustration. 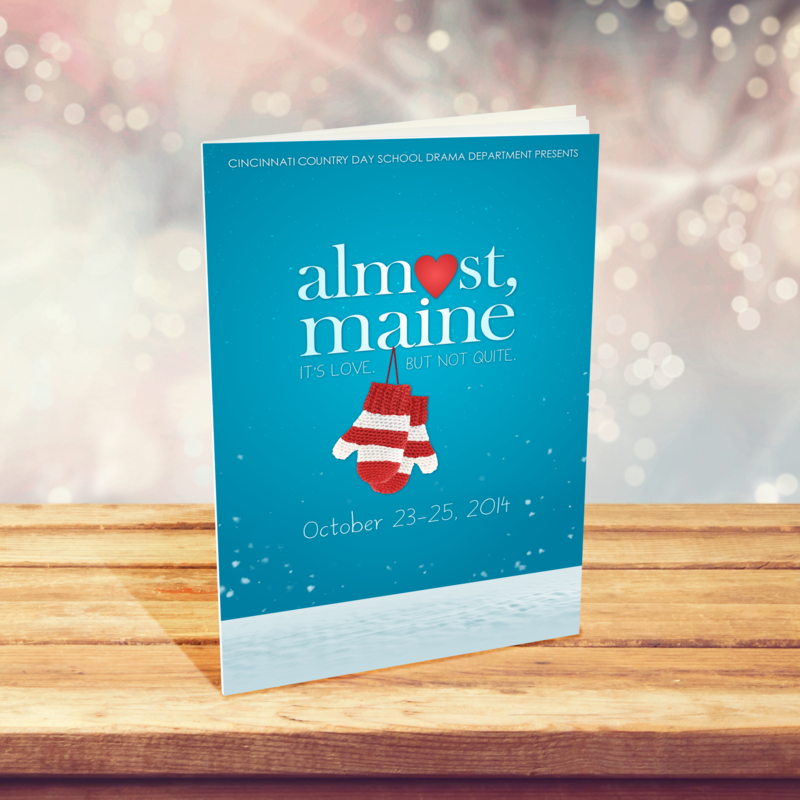 I’m very proud of the finished product, and enjoyed having the opportunity to design for a newer play that doesn’t have much preexisting artwork. This is a version of the design I modified for a t-shirt to be worn by the cast and crew. This is the playbill I designed for the show.